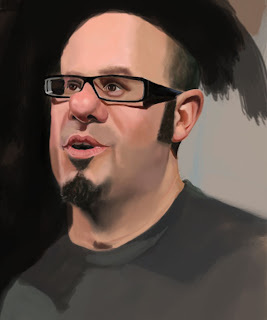 Started this yesterday...it's of Comedian/Actor David Cross...still a long ways to go but it is getting there. About 2 hours into it. man your stuff keeps getting cleaner every time i come by your blog, good stuff man.